If you have had a keen watch on social media trending then you all must know the wonderful campaign #TasteTheGlory by #LaysPakistan. It all started for the love of Soccer (Football), Lays Came up with a grand opportunity for the football lovers in Pakistan, who regularly keep up with the game and love watching the league matches. 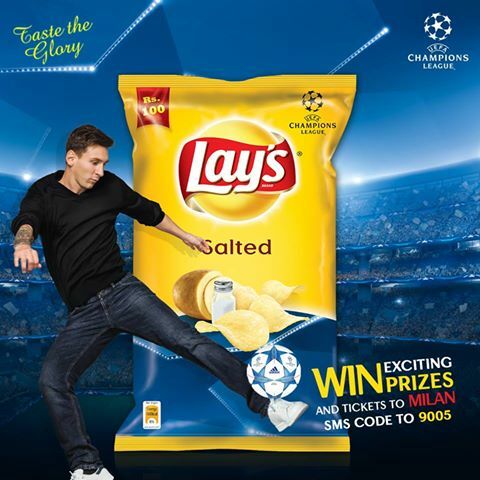 Taste The Glory campaign features a code in special packaging of Lays, which need to be SMS to 9005 to win many prizes along with the grand prize to "win ticket to watch the finals of #UEFA in Milan". 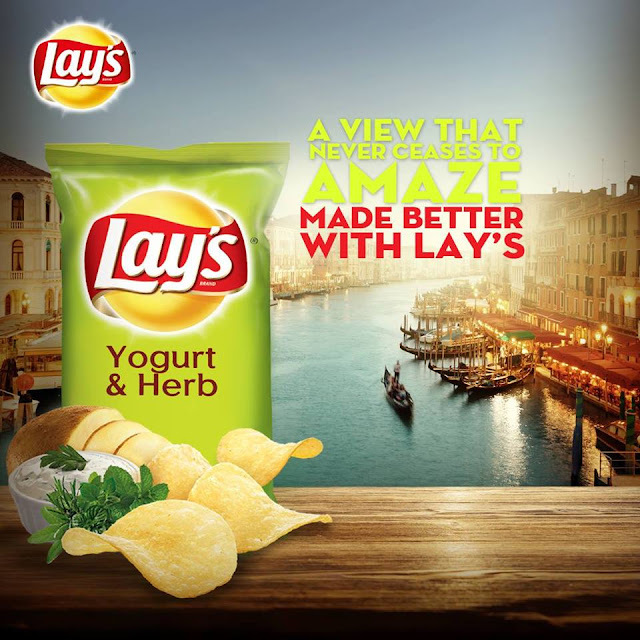 This was not all, Lays came up with many fun ideas to indulge its target audience, youth. Lays also started a contest to make a #Dubsmash on the #ChoirofChampions to get more chances to win the ticket. Lays came up with the best campaigning tactics by creating awesome installation at The Palm Roundabout, Clifton, Karachi. it was very easy just spot the installation, snap it and then share on #SocialMedia with the hahshtag #TasteTheGlory. 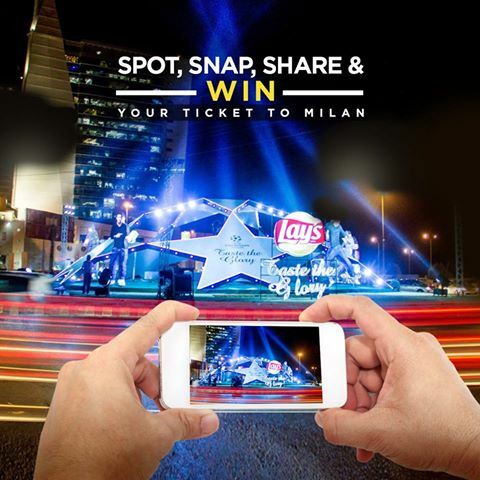 During all this time many winners have been winning awesome gift hampers from Lays Pakistan. Besides all this Social media activities Lays Pakistan is working on ground to promote the game of football in the youth of Pakistan, who already have a taste for the game but to be #GameReady they need opportunities. 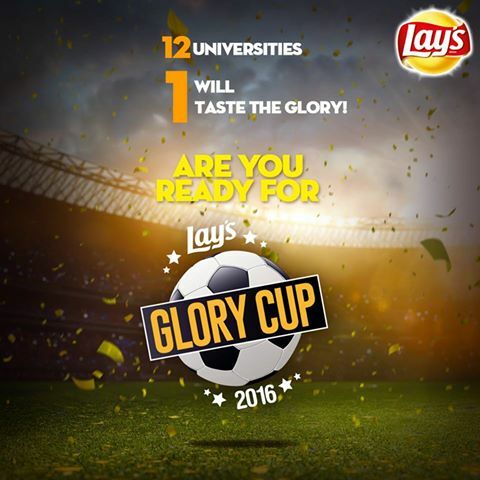 Lays organized a #GloryCup for the 12 Universities of Pakistan, w ho will compete to win the title prize. 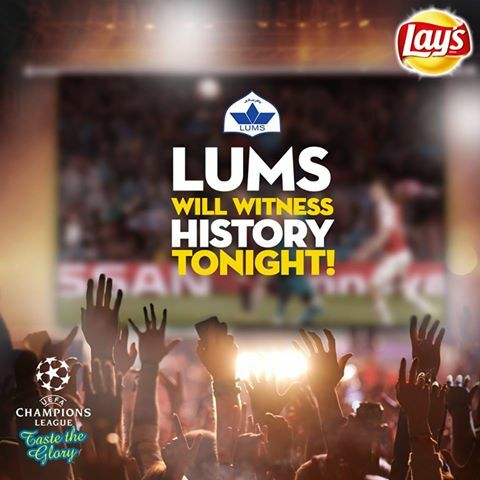 In extention of this campaign, Lays recently help the screening of UEFA quarter final matches at Lums, which got a very positive response from the students and youth. Lays and its PR team needs a big round of applause for running one of the best campaigns, which is checking all the factors, to not only promote the game, but also to engage the youth in it!